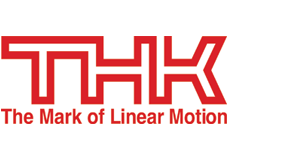 THK’s creative ideas and unique technology made the company a worldwide pioneer in the development of the Linear Motion (LM) Guide mechanism. Today, its LM Guide devices are an indispensable component of mechanical and electronic systems in a wide variety of industries. 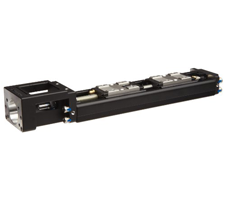 Compact actuator with high rigidity and high precision that has an integrated linear motion guide with a ball screw lead from 1 mm to 25 mm. 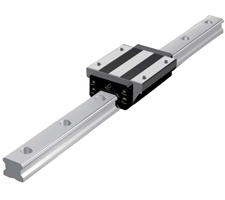 Linear motion guide that uses a ball cage to eliminate friction between balls. Each row of balls is arranged at a contact angle of 45° allowing this model to be used in all directions. 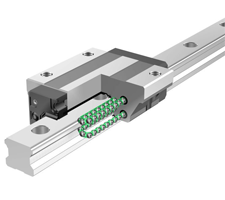 Global standard size linear motion guide where each row of balls is arranged at a contact angle of 45°. The rated loads applied are uniform in the radial, reverse radial, and lateral directions, allowing this model to be used in all orientations.